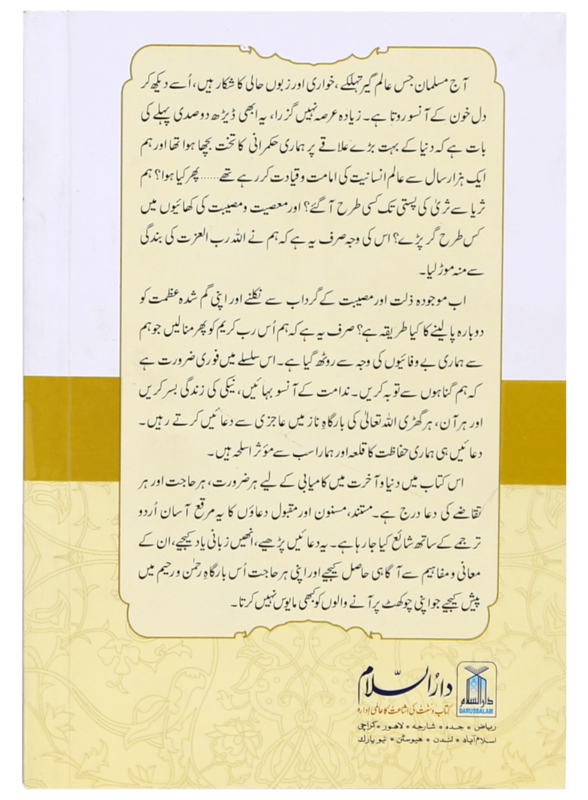 Hisn-ul-Muslim is a brief and comprehensive collection of supplications that Muslims may recite on certain occasions/events. 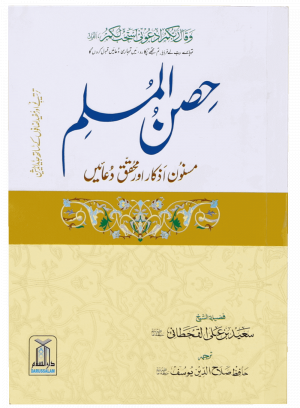 This best selling compilation by Darussalam Publishers has the following in it. 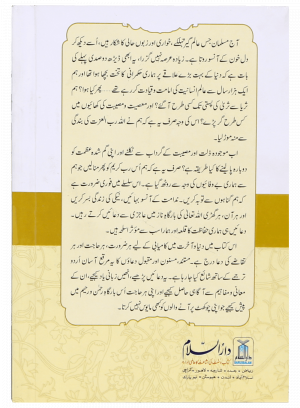 • Each prayer is written in Arabic script with Urdu translation. 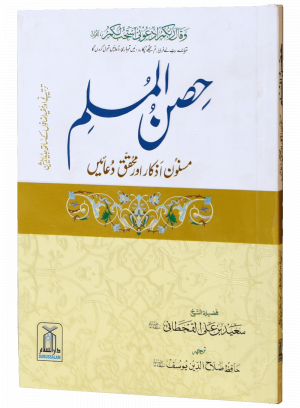 A compilation by Said bin Ali bin Wahaf Al-Qahtani, Hisn-ul-Muslim is an abridged version of his previous works. 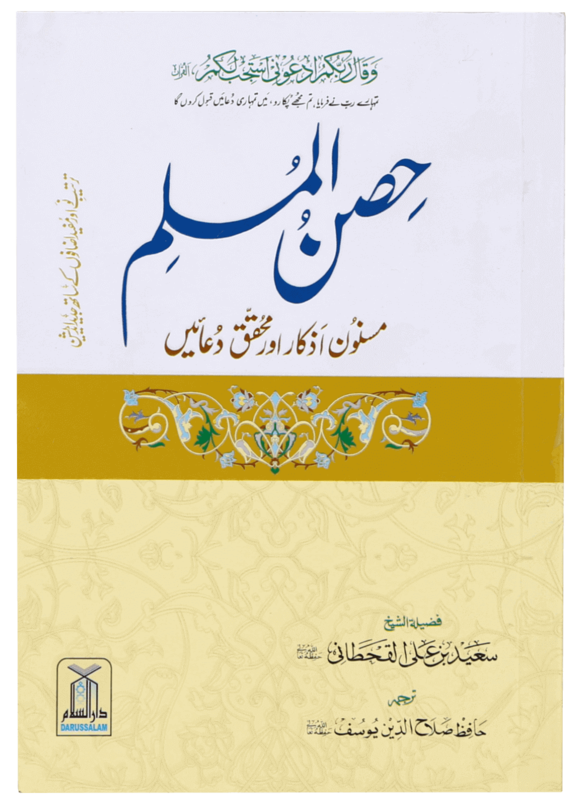 Here, he chose to mention only the text of Duas (to be recited/remembered) instead of the entire Hadith. The references list has also been shortened to one or two. 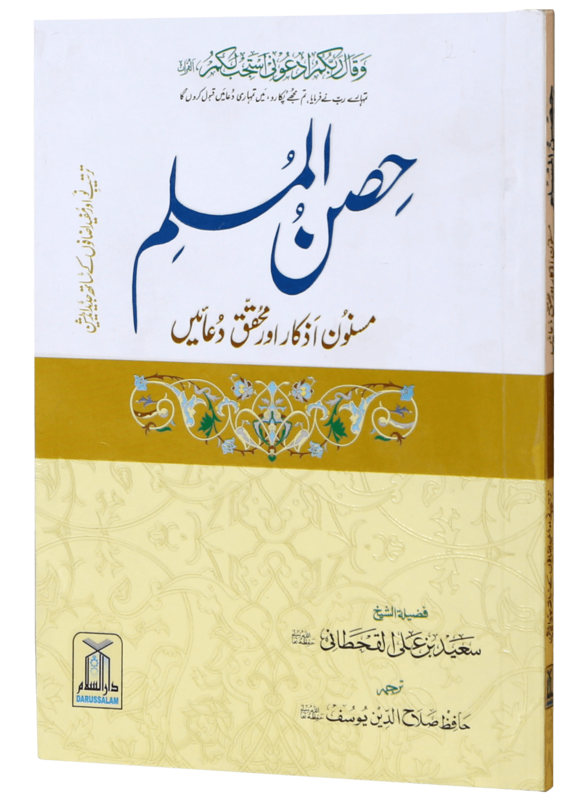 In other words, this book provides required spiritual support to Muslim brothers and sisters in performing their daily activities.